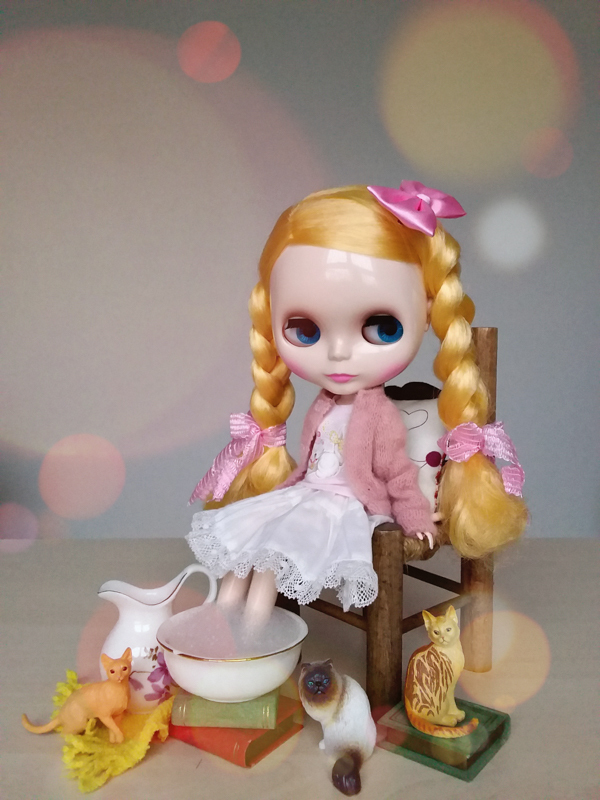 (My immediate impression: Something about sepia photos haunts me and the same can be said for this latest Groove doll. For some reason she's creeping me out, I'm not even joking. I have 4 words: Are.You.For.Real? Come on man, really! 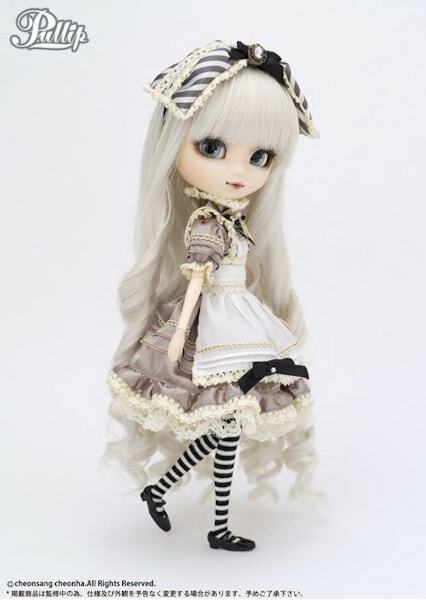 a "Sepia" version (or insert a stripped version) of Pullip Classical Alice . . . I'm shaking my head right now wondering, where is the passion?!? 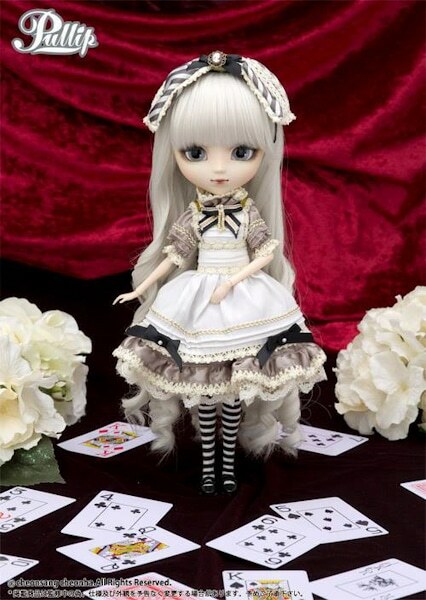 I do however have 2 positive things to say about this release, she's not a collaboration or a doll based off of an anime 🙂 but in the end, nothing has changed, she's yet another rehashed color version doll. 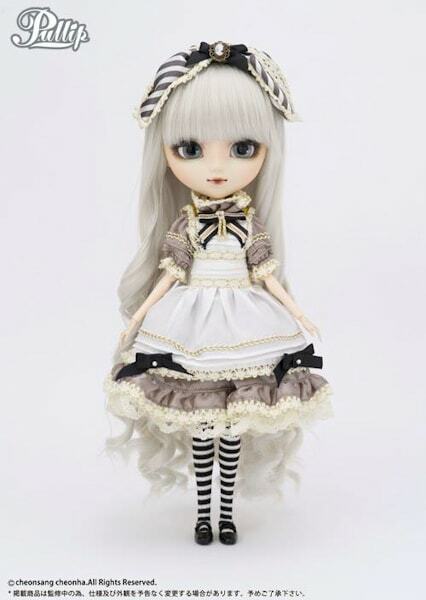 Sepia Alice is scheduled for an August 2014 release. I love this Alice and her coloring. But I can completely understand your point of view about recolors. 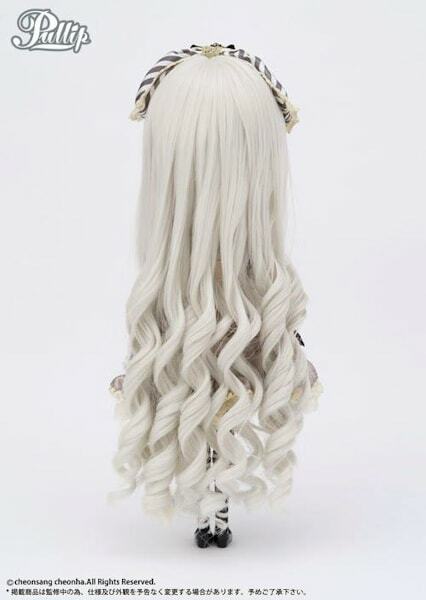 I think she peeks a lot of Pullip collectors interests. I had the same reaction as you but to be honest I feel like this is the best looking doll they’ve made for a while even if it is a redress/repaint. 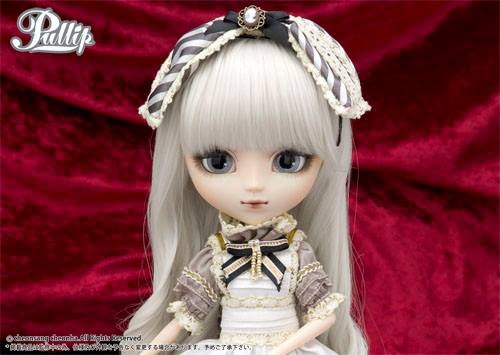 That being said it’s still not interesting enough for me to want to add to my already pretty hefty pullip collection. Grooves recent dry spell of unique dolls has actually turned me onto bjds and at this rate groove is gonna have to do something pretty impressive to peak my interest again but with this years track record I don’t see that happening. 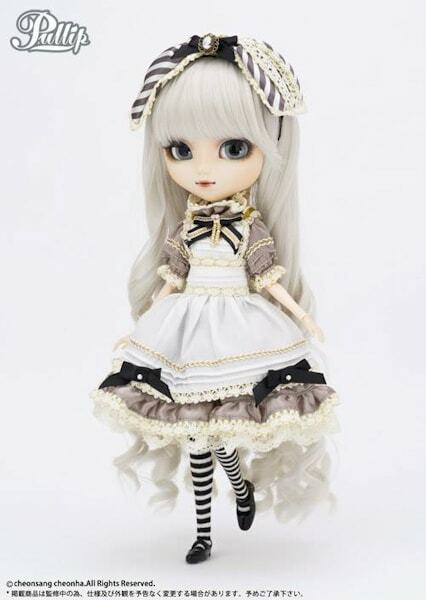 I’ve been wondering about this shift that has been happening in the Pullip community. Has the lack of creativity and originality been a major factor in Pullip collectors becoming former fans. I wonder, what does Groove have to do in order to bring back their former fans. 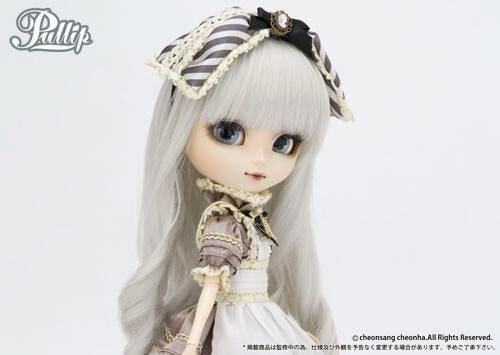 I like the color scheme, her face up especially the lips and this nostalgic creepy feeling. 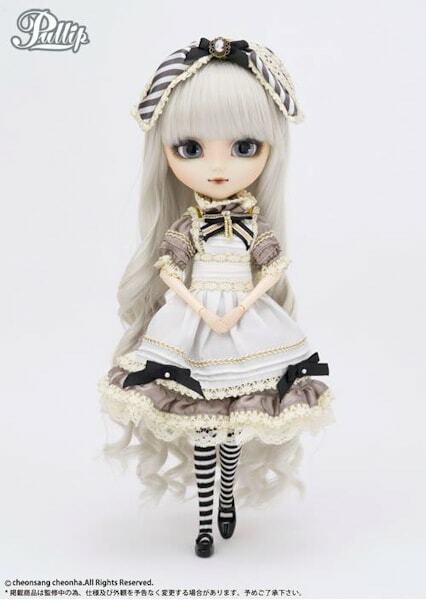 I find the recolored dolls good, because I like the colors from this dolls more than the original color scheme. But that is a matter of taste. You made a very good point about Varele & Canele. 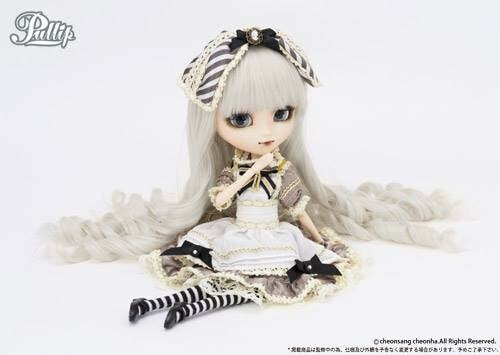 But yeah, this girl is quite mysterious, almost on the same level as Pullip Wilhelmina. Thanks for taking the time to share your point of view with us! 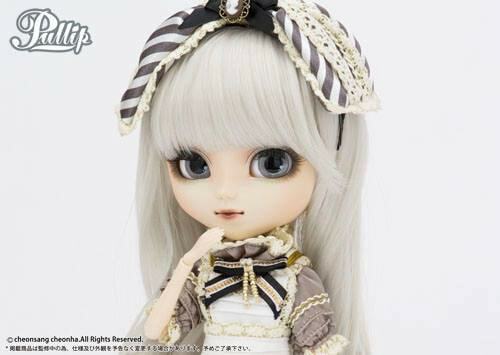 to tell the truth i find her kinda cute, but yoru riht, i cant take the recolors anymore, its kinda depressing. 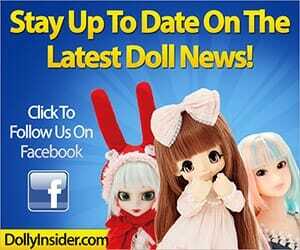 ((i kinda like the anime dolls, im hoping they do hetalia or yu yu hakusho or gasp! 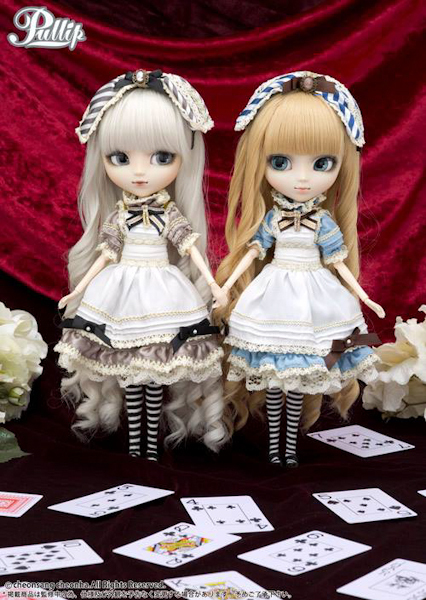 inuyasha)) but this is both alice in wonderland and a recolor and well… i think they are thinking more about quanity then quality here. 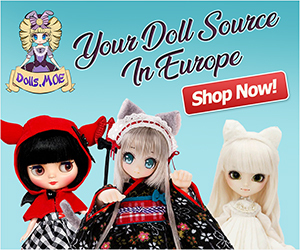 It’s not that I have an issue with anime dolls per se, its just that I feel they need more variety when it comes to their choice of Anime inspired pullips. 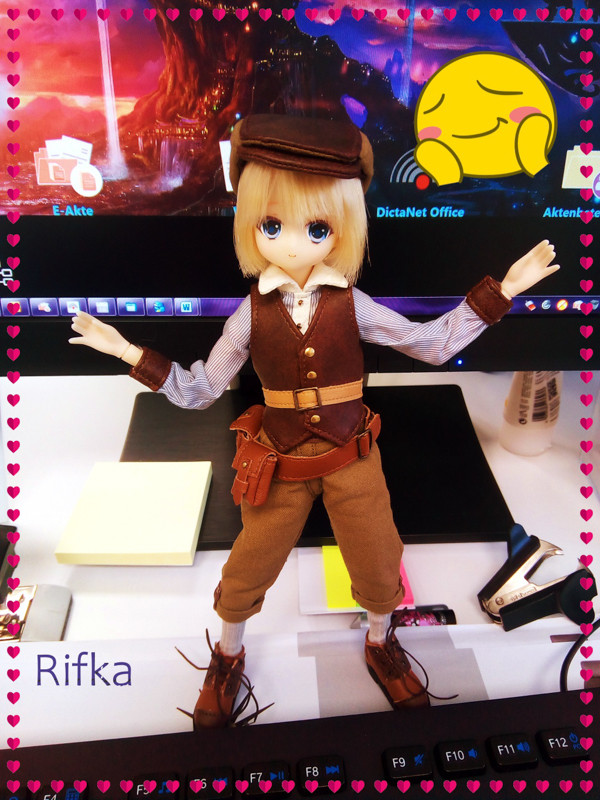 good to talk to you too, and i agree a little armin doll would be wonderful. though since they havent mde a hetalia one wich is very popular i dont know if they make a attack on titan one. and agian im sorta not surprised about the alice… i mean..eh. i wish they make a DECENT cheshire cat. then maybe ill be happy. i would prefer maybe another fairy tale, like my ltitel mermaid, or rapunzel, or something, i mean i loved thier rendisions like that.